The so-called Paleo Diet has been around for some years, but has grown to achieve almost cult status, particularly in the US, since its revival in the early 2000s, exploiting rising interest in returning to the eating habits of our ancestors, which is perceived to be simpler and more natural. Interpretations and definitions of the diet vary considerably, but the basic idea is to take us back to eating the way our Stone Age ancestors would have eaten 10,000 years ago, prior to agriculture and farming, with a diet of lean meat, nut and fruit and vegetables, with no access to grains, legumes, dairy products and foods high in refined sugar and salt. When looking at use of the word 'paleo' in launch activity tracked by Innova Market Insights, a huge surge has been seen during the past 5 years, from single figures in 2010 to more than 300 in the 12 months to the end of September 2015. Although this remains very small in terms of global launch activity totals, it is nearly three times the number recorded in the previous 12-month period. Significantly, activity is also spreading out globally from the US where the current rise in interest started. The share of the US in paleo launch activity fell from more than 80% of the tracked launch total in the 12 months to the end of September 2014 to less than two thirds in the same period in 2015, despite strong growth in total introductions. This indicated the emergence of activity in other parts of the world, perhaps most notably Australia, where activity came from virtually zero in 2014 to account for nearly 16% of the 2015 total, putting it ahead of Europe with 10%. 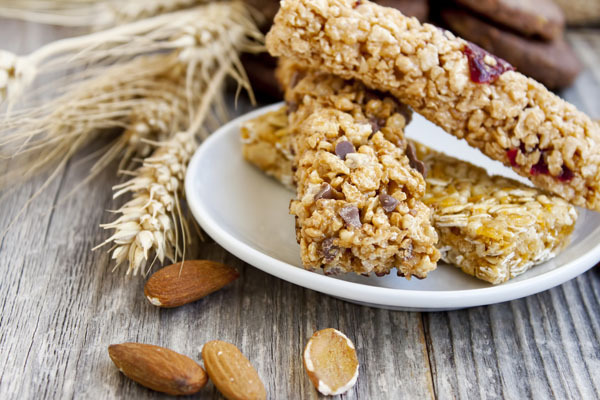 Launch activity has been fairly fragmented in terms of product categories, although cereals, bakery products and snacks account for a combined 56% share. Sports nutrition products take fourth place, ahead of dairy and soft drinks.